Shall have last words “Nidhi Limited” as a part of its name. Minimum 3 Directors which shall mandatorily be a member of Nidhi Company. The ratio of NOF to deposits of not more than 1:20.
issue preference shares or debt instruments. acquire any Company by way of purchase of securities or controlling the composition of Directors unless approval has been taken from the Regional Director. carry on any business other than the business of borrowing and lending its own name. accept deposits from and lend to anyone else, apart from its members. 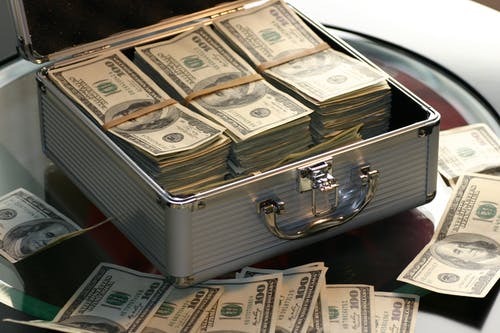 Hypothecation any of the assets lodged by its members as security take deposits from any body corporate. into any partnership arrangement in its borrowing or lending activities. advertisement for soliciting the deposit. pay any brokerage or incentive for mobilizing deposits from members or for granting loans. levy service charges for issue of its shares or issues less than 10 shares per deposit holder. grant loans to members exceeding the ceiling as mentioned in the Nidhi Rules, 2014. A charge rate of interest exceeding 7.5%. Shall not accept deposits exceeding twenty times of its NOF. Fixed Deposits shall be accepted for a period of minimum 6 months to maximum 60 months. Recurring Deposits shall be accepted for a period of minimum 12 months to maximum 60 months. 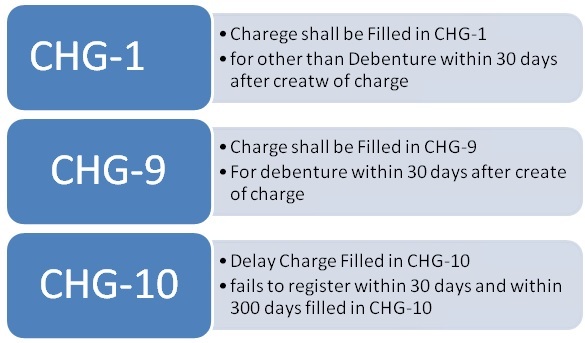 Unnumbered Term Deposits: Every Nidhi Company shall invest and continue to keep investing, in unencumbered term deposits with a scheduled commercial bank, or post office deposits in its own name an amount which shall not be less than ten per cent. of the deposits outstanding at the close of business on the last working day of the second preceding month. Further, in case of any unforeseen emergency, the limit of 10% can be withdrawn only after prior approval of the Regional Director. The Director shall not hold office for a term up to ten consecutive years. Shall be eligible for re-appointment only after the expiry of two years from the date of expiry of ten years period. Within 90 days of closure of first financial year after its incorporation certified by a company secretary in practice or a chartered accountant in practice or a cost accountant in practice certifying that the Nidhi Company has duly complied with its post incorporation compliances. Half yearly return shall have to be filed within 30 days from the conclusion of each half year duly certified by a company secretary in practice or chartered accountant in practice or cost accountant in practice. Auditors Certificate that the Company has requisitely complied with all the provisions of the Act. Further, the Income Tax provisions w.r.t. 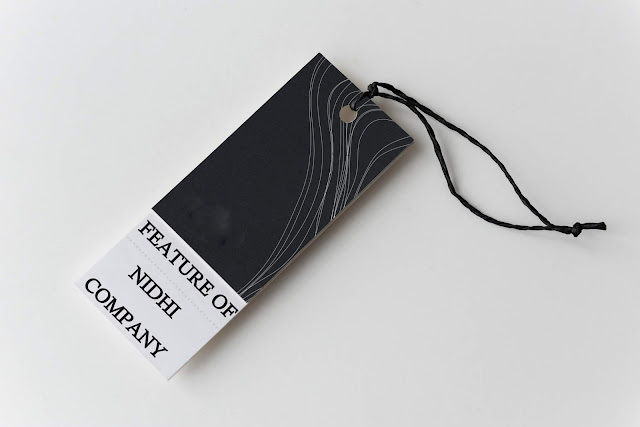 a Nidhi Company and a normal Company are the same. 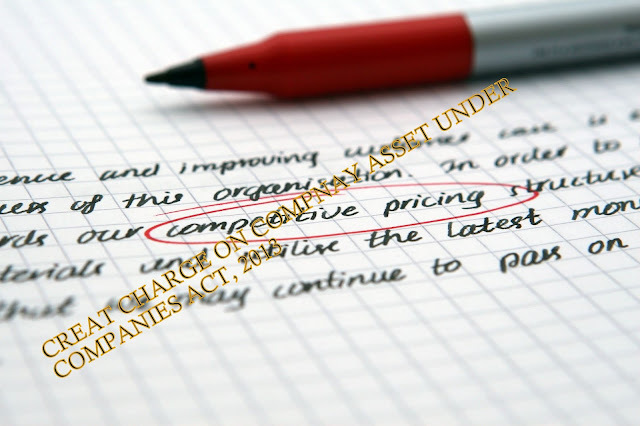 Definition Companies Act 2013:- Section 2(16) “Charge” means an interest or lien Created on the property or assets of the company or any on its undertaking or both as security include a mortgage. "Register the particular charge signed by the company and the charge holder with it to Registrar"
or company give sufficient reason why such charge should not be registered, allow such registration on payment of such fees as may be prescribed. In such case, charge holders have the right to incurred expense from the company. 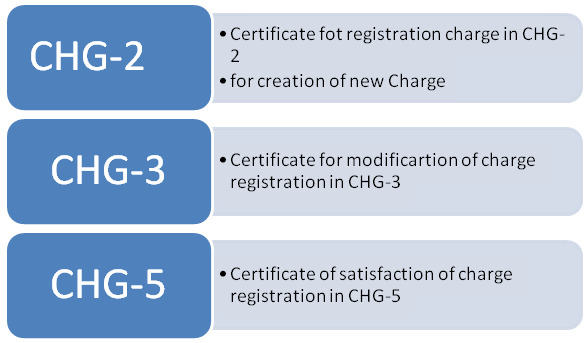 A company shall give intimation to Registrar in e-form CHG-4, of the payment or satisfaction in full of any charge registered under this Chapter within a period of 30 days from the date of such payment or satisfaction. If the particulars creation/modification/satisfaction of charge is not filed within the period of 300 days, as mentioned above, only the Central Govt. has the power to condone such delay. An application for condonation of delay u/s 87 shall be filed with the Central Government in Form No.CHG-8 along with the prescribed fee. 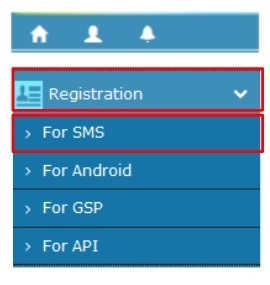 The order passed by the Central Government u/s 87 shall be required to be filed with the Registrar in e-Form No. INC-28 along with the fee as per the conditions stipulated in the said order. 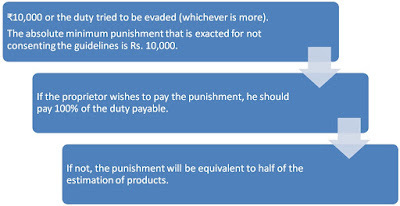 – punishable with fine which shall not be less than one lakh rupees but which may extend to ten lakh rupees. 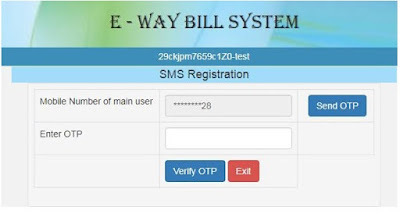 E-way bill is an electronically produced archive obligatory, to be conveyed for development of merchandise crosswise over India. It is essential for the development of merchandise worth more than Rs. 50,000 with a few exemptions. 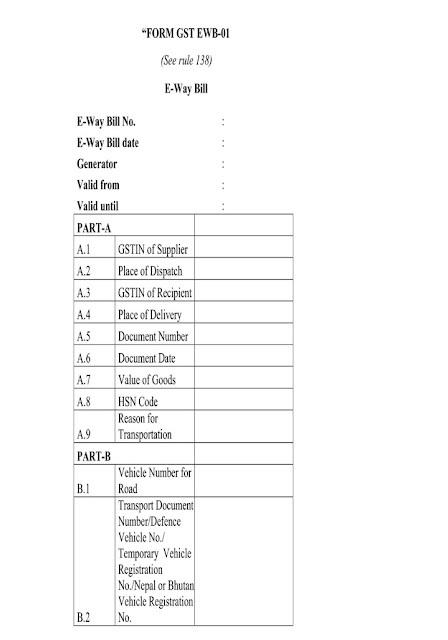 A novel E-way Bill number (EBN) would be created for each such dispatch to be transported. The legitimacy of this EBN relies upon the separation of transportation of merchandise. To implement this standard, approved officers might be told to capture any vehicle at certain check posts for the confirmation of essential reports. Also, a physical confirmation of the vehicle might be completed on getting particular sources of info with respect to tax avoidance. ₹10,000 or the duty tried to be evaded (whichever is more). The absolute minimum punishment that is exacted for not consenting the guidelines is Rs. 10,000. If the proprietor wishes to pay the punishment, he should pay 100% of the duty payable. If not, the punishment will be equivalent to half of the estimation of products. 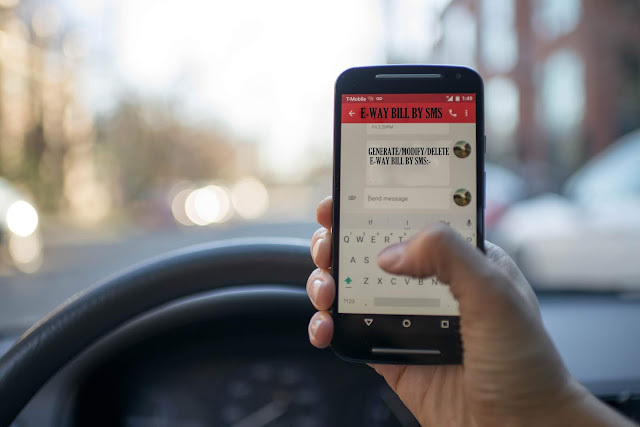 Aside from the legitimate results made reference to above, it is likewise vital to take note of that the vehicle, and also the merchandise of the citizen, can be kept. This would imply that the citizen's store network would get influenced because of the long deferrals at the check posts. GST E-WAY Bill is a document which is generated by the person for the movement of goods where value exceed ₹50,000 whether or not a supply. It includes detailed about the sender, receiver, transporter if having. 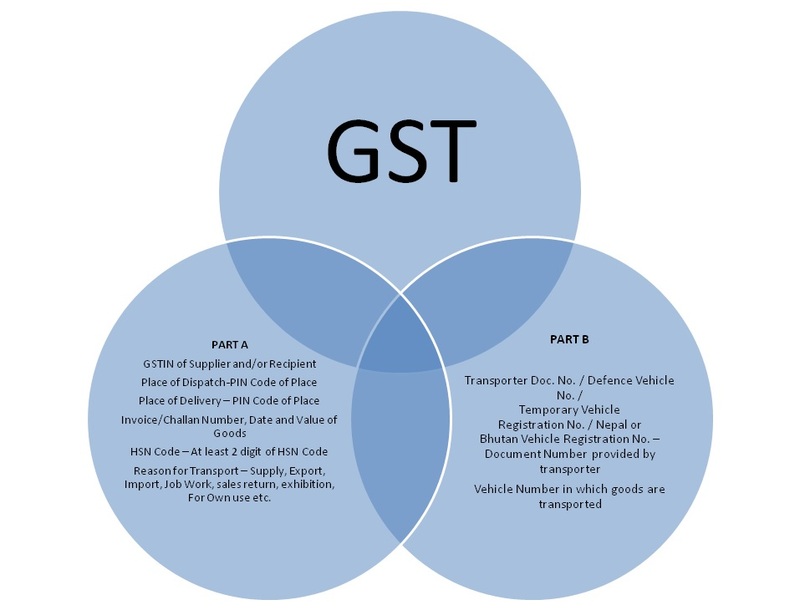 Transport of goods which include under CGST Act. 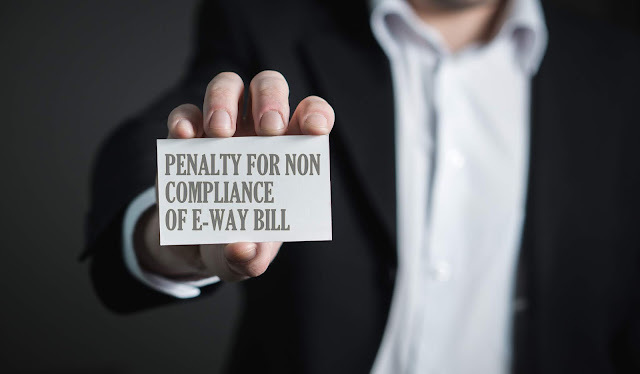 whether goods being transported are treated as "no supply"
A client needs to register on the basic entry of e-Way Bills before he can begin utilizing the administrations. 3. 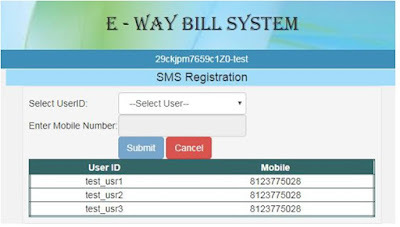 Use Bulk-age generation: device to create numerous e-Way Bills by a solitary transfer of JSON record. This office might be utilized by expansive corporates having a lot of relegations to be conveyed. 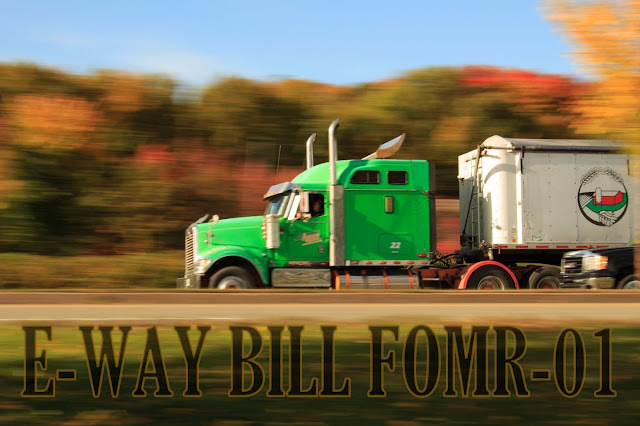 Part B with vehicle or movement points of interest must be topped off if the provider himself is transporting merchandise on either possess or contracted a transport. 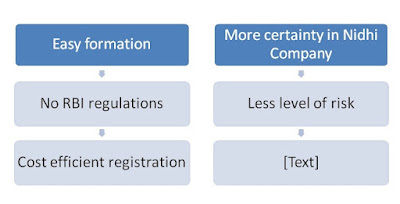 Yet, where the provider utilizes the administrations of a transporter then Information identified with section A can be sent to the transporter and the transporter produces e-Way Bill topping off Part B alongside it, yet simply subsequent to being approved by that provider.